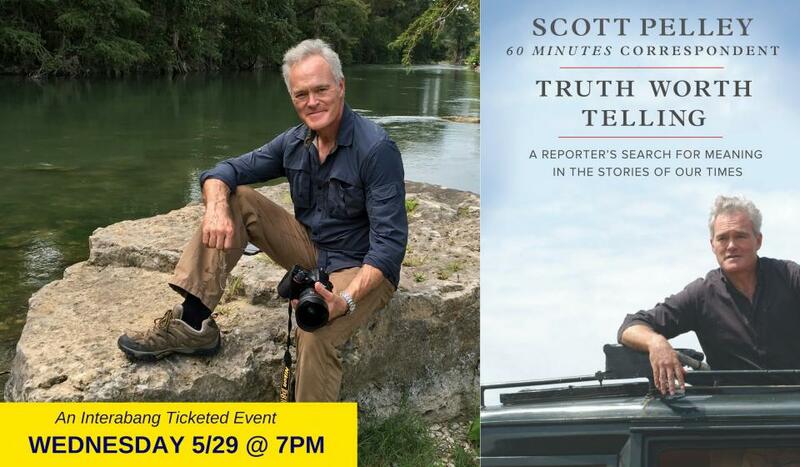 A 60 Minutes correspondent for 20+ years and former managing editor of the CBS Evening News (2011-2017), Scott Pelley has been a reporter and photographer more than 45 years. Many North Texas residents remember his years at WFAA-TV Channel 8. Pelley has written his new book as a witness to events that changed our world. Provocatively, he begins his exploration with this: "Don’t ask the meaning of life. Life is asking, what’s the meaning of you?" From there, Pelley introduces readers to remarkable people who discovered the meaning of their lives in the historic events of our times. In moving, detailed prose, Pelley stands with firefighters at the collapsing World Trade Center on 9/11 ... he advances with American troops in combat in Afghanistan and Iraq ... and he reveals private moments with presidents (and would-be presidents) he has known for decades. Scott Pelley’s work has been recognized with three duPont-Columbia Awards, three Peabody Awards, and 37 national Emmys. Pelley is the most awarded correspondent in the 51-year history of 60 Minutes. Pelley has been married to the love of his life for 35 years. He and Jane have two children.